Nice photo. There's no waste eh. I bet the cows think it's tasty! BEDDING! So many burn the stubble anymore (here) it always makes me think what a huge waste. When we had grain we always baled the straw...nothing better than straw for bedding. Not much bedding is required here because we don't need to house our livestock in winter. Our winters are pretty mild compared to yours. 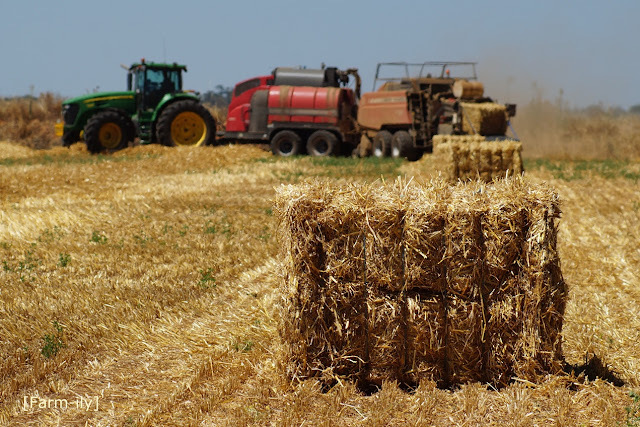 Beef feedlots and dairies use the straw as source of fibre in the rations for their stock. I do like the composition and use of focus. And we are expecting snow tonight...I will trade places with you for few days! That coolness sounds pretty good to me just the same!